Tonight is the 2018 College Football Playoff and we’ve got you updated on market movement, betting percentages, lookahead title odds, exact outcomes and more. In the first playoff game on Monday (5 pm ET), Georgia is now listed as 3-point favorites over Oklahoma around most of the market after opening as the underdog. It was a slow, gradual line increase and didn’t hit the key number of -3 until Saturday afternoon. The early majority of tickets was on Oklahoma but public percentages have been pretty split over the entire month. Clearly sharp money has boosted the UGA line up to -3, but that’s where we could see some buyback on Oklahoma. Some sportsbooks like 5Dimes are actually holding UGA at -2.5 (-115) and don’t want to hit the key number quite yet. In the second playoff game on Monday (8:30 pm ET), sharp money has also been on the SEC side. 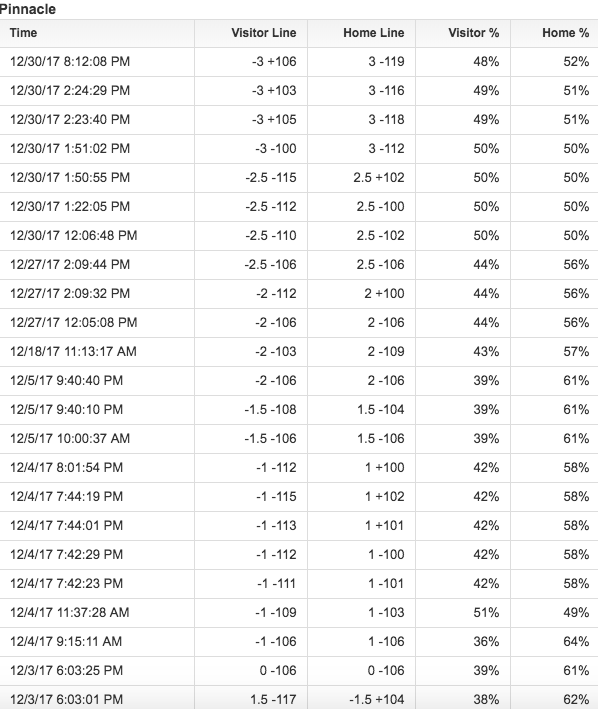 Alabama opened -2 around most of the betting market but moved to -3 a couple weeks ago and sportsbooks haven’t looked back. The line movement and betting percentages in this game are very similar to the other playoff game. The early majority of tickets came in on Clemson but betting has been very balanced over the course of the month. Sharp money took Alabama at -2 and -2.5 and even at -3. It’s possible this could move to -4 before seeing any sharp Clemson money. 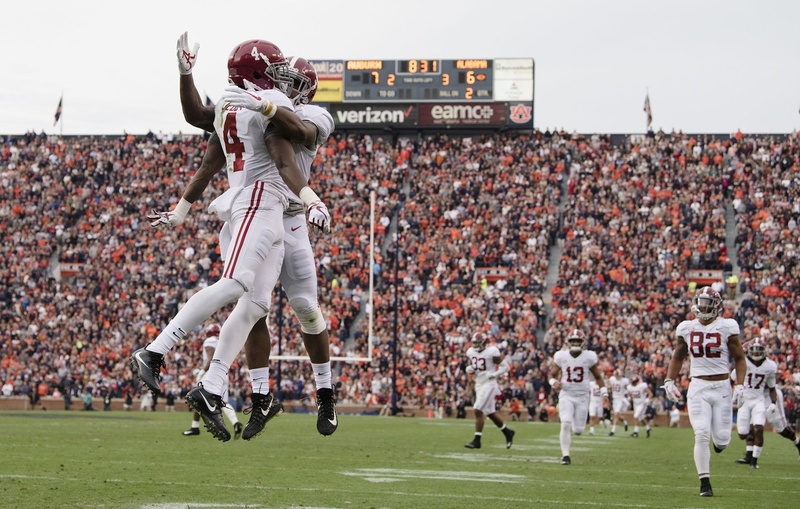 Alabama attracted the most action to win the National Championship prior to the season, much of it sharp money, and they’re still the favorites to win it all. 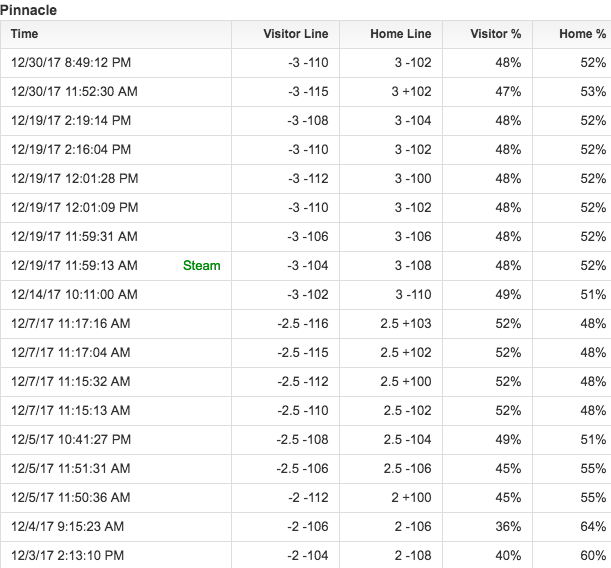 However, bettors were able to get a really good number (+1200) after their loss to Auburn. No matter what matchup we get in the title game, it’s going to be around a field goal spread. Best of luck to all your bets in 2018!